Morgan Hill, California is a wonderful city in the San Francisco Bay area. This city is also known for being located within Silicon Valley, which happens to be one of the more technologically advanced areas in the entire state. Home to companies such as Flex, Anritsu, and TenCate, Morgan Hill maintains a reputation of harboring some of the most technologically oriented businesses in California. What many are unaware of is the fact that Morgan Hill, California is also inclined towards the public appreciation and celebration of its natural resources. Listed below are several events in this city recommended for those who also enjoy exploring the naturistic aspects of Morgan Hill. The first event worthy of mention is the Trees and Shrubs of Santa Clara Valley: A Plant ID Walk. It's during this event that guests are invited on a tour of the Mayfair Ranch Trail, wherein the travel guide will identify and describe various plants and forestry that are native to the Morgan Hill area. Fall is a very beautiful time of year in Morgan Hill, California, as it produces a plethora of interesting foliage and plant life. The Trees and Shrubs of Santa Clara Valley: A Plant ID Walk, will take place on November 25th from 10 a.m. to 3 p.m. This identification walk will expand across approximately 4.3 miles, and ascend up to five hundred feet in elevation. More information, such as the exact address where the event will commence at, can be found here. The second event available in Morgan Hill, California is the Trees of Henry Coe State Park Guided Nature Walk. Much like the event mentioned prior to this one, this guided walk focuses on identifying trees and shrubbery native to the Henry Coe State Park. While appreciating the sheer grandness and beautiful nature within the park, guests will walk for approximately 2 to 2.5 hours learning about the ecosystems of certain plant families, and how various trees aided Native Americans who first occupied the land. The Trees of Henry Coe State Park Guided Nature Walk also is held on November 25th, and will take place at 10 a.m. and last until about 1 p.m. More information on where to meet to conduct this tour, and other specific details relating to the event can be found here. 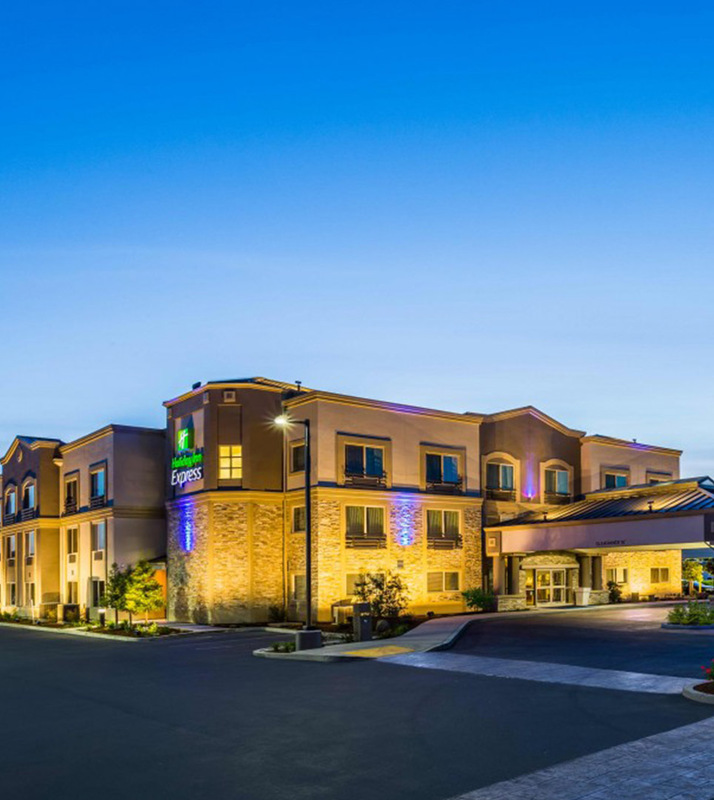 While exploring the outdoors in Morgan Hill, California, enjoy your stay at the Holiday Inn Express Morgan Hill. As both of these events are located conveniently within the area of the hotel, the Holiday Express Morgan Hill offers the best rates when you book directly at www.hiemorganhill.com.